Therefore, the Harvard Sports Staff is now prepared to assist you with this key element of year-long planning: how to raise money to pay for your tour! Select an assistant coach, parent, or team captain(s) who will assume the responsibility as a helper to oversee fundraising events, and then collect monies after each fundraising activity. This person will be the main contact with Harvard Sports for fundraising. 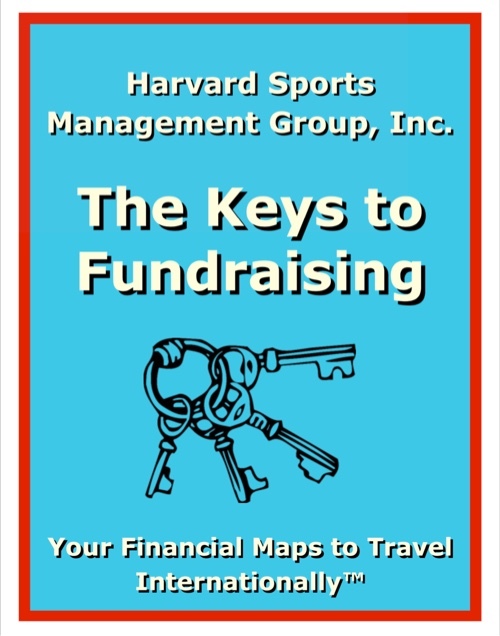 Coaches, helpers, and team members review together the material in the Harvard Sports "The Keys to Fundraising" booklet to identify the most successful programs for your team, club, or group which “fit” your school or athletic department’s guidelines for fundraising. This trademarked publication was created for "Contracted" customers of Harvard Sports, and offers 60 pages of potential fundraising activities. We also have an on-staff advisor who can guide your fundraising plans.